The Colorado fun continues with another episode from our recent trip to the Denver area! This week, we bring you a fantastic interview with Greg Kinney who is the Director of Food & Beverage for the Eldon James Corporation. Greg gave us a tour of their amazing facility and sat down to talk about what’s going on at EJ Beverage. 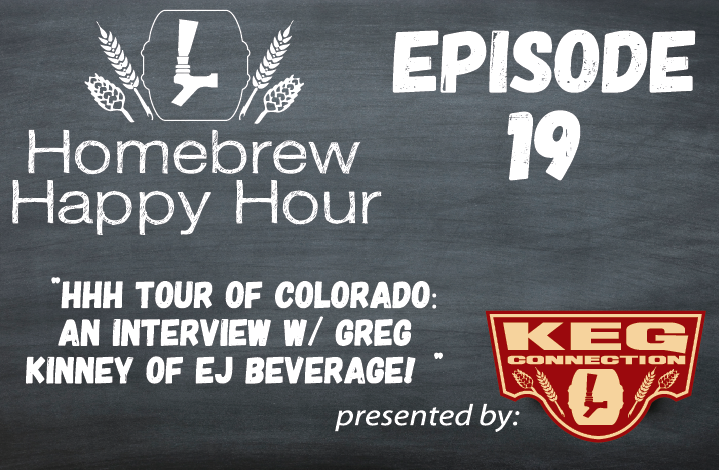 Spoiler alert: Todd and Greg were proud to announce in this episode that Kegconnection has partnered with EJ Beverage and are making the switch from PVC liquid tubing to EJ Beverage’s PVC FREE Ultra Barrier tubing! If you’d like a more in depth explanation for WHY Kegconnection has made the switch, please visit DraftBeerTubing.com! If you have a question that you’d like us to discuss on a future episode, please click on the “Submit a Question” link at the top of the page!